Believe it or not this is a hot topic for many couples. Usually the couple has opposing views on the matter. As a Dental Practice in the heart of Tribeca, New York, we hear this argument all the time and today we will fully explore it. On deciding weather you should floss before or after brushing one must first understand the rationale for flossing. We floss to remove bacterial plaque and debris from between the teeth and surrounding gum tissues. Bad anaerobic bacteria that live in the mouth has access to our entire body via our bloodstream. An overgrowth of bacteria can lead to gum disease and increase Dental cavities. Researches have now linked those bad bacteria to a host of medical conditions including Infective Endocarditis. In fact an un-healthy mouth can exacerbate certain medical diseases such as Diabetes and even HIV. We floss to bring oxygen between the contacts of the teeth where anaerobic bacteria live. This anaerobic bacteria such as Streptococcus Mutants strives in a moist environment without oxygen. Flossing brings much needed oxygen between the teeth killing S. Mutants. People should floss every day! Be consistent. The human mouth has more bacteria than the planet earth and it grows exponentially! 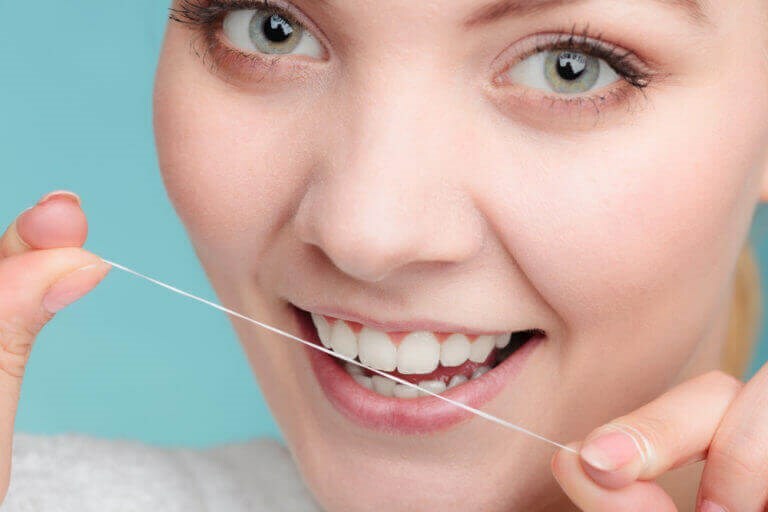 Most Dental professionals will agree that as long you floss religiously the end result will be the same, less cavities and improved gum health. So floss before or after you brush, just do it correctly and religiously. This entry was posted in Tribeca Smiles Dental Blog and tagged Cosmetic Dentistry For Confident Smiles [Infographic], dating, DentalHygiene, dentist, dentist nyc, Floss, flossing, health, tribeca on March 19, 2017 by Avalene Roberts.